This Adventure tour and hike is an ideal opportunity to see the highlights Cusco has to offer such as a tour of the City, the nearby Inca Ruins of Saqsayhuamán, Qenqo, Pucapucara and Tambomachay, a day trip to the Sacred Valley of the Incas, tour to the wonderful terraces of Moray - Maras & Salt Mine and, of course to the South valley of Cusco including a visit to the traditional Indian market at Pisac , the beautiful village of Ollantaytambo and the small village of Aguas Calientes located into the high jungle. The 2 Day Inca Trail network were known as Qhapaq Ñan. The 2 Day Inca Trail throughout Peru that are still used to this local farmers sometimes accompanied by pack animals usually the Llamas. The trails were used by the Inca People as a means of relaying messages , carried via Knotted-cord Quipu, books , and by memory; and for transporting goods, Messages could be carried by chasquis runners covering as much as 242Km ( 150 mi ) per day. There were approximately 2,000 inns, or Tambo’s, places at even intervals along the trails. The inns provided food, shelters and military supplies to the tens thousands who traveled the road. There were corrals for llamas and stored provisions such as corn, lima beans, dried potatoes, and Llama jerky. Along the roads, Local villagers would plant fruit trees that were by irrigation ditches. 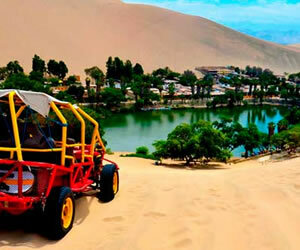 During this whole trip and hike, you will be accompanied by our expert English speaking guide. 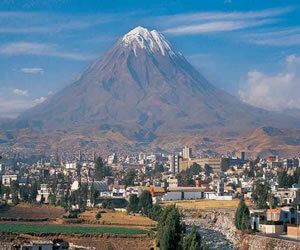 Book now and we`ll guarantee your entrance to the Inca Trail!! Important note: Due to the high demand and limit of entrances to the 4 Day Inca Trail, Huayna Picchu or Machu Picchu Montaña even to MACHU PICCHU, we strongly recommend you book in advance before sold out... (For 4 Day Inca Trail 500 available entrances) (For Huayna Picchu and Machu Picchu Montaña only 400 available entrances) Cost for entrance to Huayna Picchu & Machu Picchu Montaña US$ 65 each) Note: The tickets cannot be modified, exchanged or refunded once confirmed!! 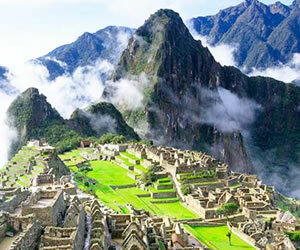 !In February: the 2 Days & 4 Days Inca Trail are closed for maintenance. Upon your arrival to Cusco (Flight details: To be confirmed) our guide and representative will be waiting for you, holding an small board written your names and then, you will be transferred to our office to get further information about the trip and pay the remainder balance while you will be informed, our staff will served you COCA tea to avoid the altitude sickness. At the appropriate time, you start with this lovely Sacred Valley (great option to acclimatize) the ancient capital of the Inca Empire, where you'll board our private coach for a drive to the Sacred Valley. After your breakfast, our tour guide will pick you up from your Hotel to transfer you to Ollantaytambo train Station for a train journey of just over one hour till kilometer 104 (starting point of our trek). As soon as we arrive to this point, we will cross a bridge to the check point and show your passports and student cards ( If is applicable ) then we will start a soft walk into the other side of the Vilcanota River the trail heads off to the right towards the ruins of Chachabamba. After a visit this impressive Inca ruins with buildings on stone, we`ll continue the trail road most of it on stone steps, heads south and begin climbing the mountain, great views around of the high jungle area and mountains, before entering the cloud forest. Then the trail leaves the forest and goes west while continuing the uphill hike in open grassland. After hiking in the sun for about three hours, the trail descends into a shaded forest. This is where trekkers can enjoy a beautiful waterfall. After leaving the waterfall and forest, trekkers will arrive at the lower part of the incredible ruins of Wiñay Huayna, steps to climb to reach the superior edifications described as temples. We will have plenty of time for a guided exploration sorted by our experienced guide and time to explore and pictures in our own. By the time we arrive to this complex it won't be crowded, because most trekkers headed to the Sun gate and Machu Picchu. It is recommended that you start the trek with at least 2 liters of water. After lunch in Wiñay Huayna ruins we continue through a cloud forest full of bromeliads, orchids and fern trees. You will walk the last part of the original trail with amazing features stone steps and tambos, resting places, and climb the 60 steps before arriving to the Inti Punku or "Sun`s Gate". From this point you will be able to contemplate and observe this marvelous place, last 45 minutes to be on front of this wonder, where you can feel an inner peace. Spend a short time for pictures and views then we prepare our mind for the next early morning, time to take a bus for 30 minutes to Aguas Calientes town. Hot springs pools are optional or just free time to chill out at this small village. Do not forget that this entrances, must be booked in advance and pay US$ 25 extra. Afternoon and depending on your train schedule back to Cusco, you will have to take the bus down to Aguas Calientes to catch the train back to Cusco. 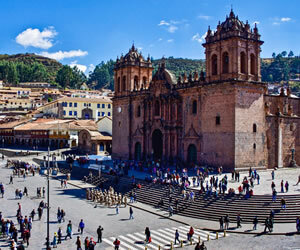 After the guided tour, our guide will give you all the instructions for your bus down and train back to Cusco. Upon your arrival to Poroy station, you will be meeting again by our staff and then transfer back to your Hotel. (Dinner on your own). After your breakfast, we will pick you up from your Hotel at 8:00 am to start visiting these incredible places in the southern of Cusco. Tipón is said to be a royal garden commissioned by Wiracocha. 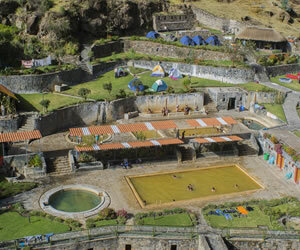 It is one of the most elaborate examples of agricultural terracing created by the Incas. These tall terraces which run up the narrow valley are irrigated by an aqueduct from Pachatusan, the mountain above the site. In addition to the terracing there are also some other structures at Tipón, including baths, a temple complex, canals and aqueducts. Tipón is definitely one of the lesser visited sites in the Cusco area but it is equally as impressive as those in the Sacred Valley. The Tipón Archeological Complex is located 24 km southeast of Cusco. Andahuaylillas: Here you will visit the "Sistine Chapel of Peru", a church that is home to golden altars, paintings and many colored ceilings. The chapel is simple and unassuming on the outside, but on the inside you'll find masterpiece after masterpiece. Also some paintings from famous “Escuela Cuzqueña” can be appreciated. Afternoon return to Cusco but on the way back, we will stop at Saylla where we will find some typical restaurants to enjoy pork chicharrones, or roasted ginea pig (optional) Afternoon, return to Cusco and drop off at your Hotel.